Several months ago, I posted a blog on Women in Oncology and to my delight, it really captured the attention of a number of readers. It seems that there is a real interest on the part of professional women in the field to tap into the knowledge and advice of those who have paved the way. As a result of the initial blog post on this topic, there is now an educational session scheduled for the 2013 Annual Meeting—Women in Oncology: Challenges and Keys to Success—to be held Monday, June 3. This informal panel session will be led by Chair Elizabeth M. Jaffee, MD, and will talk about gender trends in the oncology and physician workforce; barriers to career development and professional satisfaction; and strategies to successfully develop and mentor young female oncologists, including job sharing. The panelists will include Debra A. Patt, MD, MPH, who will address novel practice models in community oncology practices; Enriqueta Felip, MD, who will provide an international perspective on women in academic oncology; and Katherine Reeder-Hayes, MD, MBA, who will share a junior perspective on career development. A significant part of my Presidential theme, “Building Bridges to Conquer Cancer,” is preparing for the future of oncology, and a big piece of that is making sure we have enough oncologists and oncology professionals serving patients around the globe. Although enrollment by women in medical school and residency training programs has increased significantly in the past generation, and although we have recent statistics showing the increase of women in oncology fellowships (44.7% of oncology fellows in 2010) and practice (28.4% of all oncologists in 2011) (JOP), we continue to observe a low proportion of women in leadership and senior roles. This trend is concerning because talented early-career oncologists appear not to be transitioning to more senior roles, and because of a perceived lack of opportunity, may further exacerbate the negative effects of the impending shortage in the oncology workforce. In my observation, one of the reasons for this is lifestyle choice. How can any one person—especially such highly functioning women who are accepted to medical school, find a way to pay for it, finish a very grueling residency and fellowship—be expected to have a successful career and raise a family without compromising? I deeply respect the choices the women whom I have worked with have made. It’s not easy for me to see those whom I know have the passion and commitment and who could make a difference for progress in research accept other roles. However, I totally get it. What we need to do is make room for these decisions and be creative; we have to capture this talent and do everything we can for the future of our patients with cancer. ASCO offers many opportunities for members across the board to build on collaboration and networking skills—through its many committees, meetings, publications, and member networking tools, including this interactive networking platform I’m blogging on now—ASCOconnection.org. ASCO also has an active Fellows Council and offers leadership development through its Leadership Development Program and Leadership Development Skills seminar, to name just a few of the resources available. Certainly the women who have been successful in the top levels of our field and within the Society knew the value of networking and mentoring. Many of us are inspired by Jane C. Wright, MD, who was at the top of her field when she helped to establish ASCO in 1964. Like many other successful people who faced formidable obstacles on their journey, she did not work in a vacuum. She came from a long line of physicians—her grandfather, step-grandfather, father, and sister were all physicians. Early on, she collaborated with her father who was active in clinical trials on some of the earliest chemotherapy treatments. She went on to serve as the Associate Dean of New York Medical College, the first African-American female to reach that rank, and as President of the New York Cancer Society. According to her daughter, Alison Jones, Dr. Wright “was very interested in expanding not only her knowledge base, but interacting with other people and trying to learn as much as she could about the field and trying to teach and mentor as many people as she could,” including leading delegations of doctors to China, Russia, and Africa. In its 49 years of existence, ASCO has had six women Presidents, including me, all of whom recognized and utilized the power of collaboration and networking. The other five are Rose Ruth Ellison, MD, FASCO (1974-1975); Karen H. Antman, MD, FASCO (1994-1995); Margaret A. Tempero, MD, FASCO (2003-2004); Sandra J. Horning, MD, FASCO (2005-2006); and Nancy E. Davidson MD, FASCO (2007-2008). Four of the past leaders, you will note, all took office in the past decade, reflecting the growing presence of women in the field and our organization; today women constitute 32% of ASCO’s membership and nine of our 19 elected Board members are women. 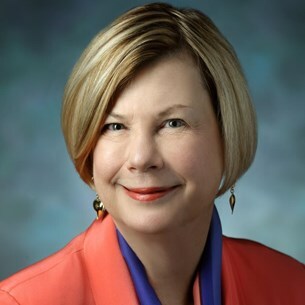 ASCO also continues to expand its efforts internationally and relies on the expertise and contributions of non-U.S. women oncologists who have served in ASCO leadership, including Martine J. Piccart, MD, PhD, FASCO, who is a past ASCO Board member and 2012-2013 President of the European Society for Medical Oncology; Mary Gospodarowicz, MD, who is a past member of ASCO’s International Affairs Committee and 2012-2014 President of the Union for International Cancer Control; and Tanja Čufer, MD, PhD, Immediate Past Chair of ASCO’s International Affairs Committee. As the global cancer burden climbs, it will be critical to have women in active leadership roles. One way to open more doors for women in research is to encourage women to participate in development programs—such as the AACR/ASCO Workshop: Methods in Clinical Cancer Research, otherwise known as the “Vail Workshop”—and through grants and awards. I’m happy to report that this year, 2013, the Conquer Cancer Foundation is celebrating the 30th anniversary of its Grants and Awards Program. It’s interesting to note that the first grant, a Young Investigator Award, was presented to a woman, Judith Kaur, MD, from the University of Colorado Health Sciences Center for a research project on melanoma. Dr. Kaur is still a practicing oncologist, now the Medical Director of Native American Programs at the Mayo Comprehensive Cancer Center, where she studies women’s cancers in Native American populations. She remains involved with the Grants and Awards program, serving as a mentor and on review panels, and attending and speaking at the program’s networking functions. This is a true success story and underscores the power of involvement in organizations and recognition from the field. I encourage women researchers to visit the Conquer Cancer Foundation site to read about other successful women researchers such as three-time grant recipients Ann H. Partridge, MD, MPH, of the Dana-Farber Cancer Institute, and Janette Vardy, MD, PhD, of the Sydney Cancer Centre, Australia. Looking for more inspiration? Visit the ASCO Special Awards for a list of awardees, including the David A. Karnofsky Memorial Award recipients Clara D. Bloomfield, MD, FASCO; Kathleen Foley, MD; and Janet D. Rowley, MD. Of course, putting together an inclusive list of past, present, and future women leaders in oncology is an impossible task (I’m sure to leave someone off!). I want to continue the discussion, to honor those women who have paved the way, and to help figure out what we can do and give the future generation of women leaders the tools they will need to meet the ever-growing demands of our field. Please join me in both sharing your ideas on how to bring more women into leadership roles in oncology and use this space to share the names of others that you would like to recognize as role models and mentors in your own work. Kudos to ASCO President, Dr. Swain, for focusing on Women in Oncology! It is exciting to be a member of an organization like ASCO where outstanding, accomplished oncologists, women and men, are elected each year to lead and direct the society's efforts, each applying their own unique vision. As Dr. Swain notes, there are still far too few women in leadership in other oncology arenas, the reasons for which are myriad. Hopefully this is changing and I know women in my generation of oncologists stand on the shoulders of giants, many of whom Dr. Swain noted. Other female leaders in oncology, to name a few, include current and former ASCO board members such as Patty Ganz, MD, at UCLA, Monica Morrow, MD at MSKCC, Robin Zon, MD of Michiana, Jamie Von Roenn, MD of Northwestern, and Monica Bertagnolli, MD of Dana-Farber/Brigham and Women's Cancer Center (who also happens to lead a cooperative group, the ALLIANCE, formerly CALGB, ACOSOG and NCCTG). Not to mention, Judy Garber, MD, of Dana-Farber, recent past president of AACR. The climb must have felt daunting at times to these courageous ladies as they ascended, and it will undoubtedly be easier for women coming up behind them for their having created the paths. As Dr. Swain highlights, ASCO as a society, not only accepts, but encourages and fosters women in leadership. To this point, it is noteable that last year's competitive ASCO Leadership Development Program, was comprised of 12 participants, 8 of whom were women. By continuing programs like this and continuing to provide critical early research grants to support the careers of both men and women, ASCO should also be commended for supporting the development of our future leaders. I came accross this post while preparing for the ASCO Annual Meeting and adding sessions to my iPlanner. I am looking forward to the Women in Oncology session on June 3 in Chicago; the issues and challenges that we face in our career paths are very similar, and I've always gained strength and inspiration from listening to my colleagues. A few years ago I was struck by the disparity between the number of women going into oncology and the number of women in leadership positions. Again, inspired by listening to the success stories of my mentors, we created a secure website aimed at facilitating mentorship connections and sharing resources for leadership skills development: www.womenincancer.org. This secure site allows for discussion of common issues and event updates. The other feature we love is highlighting a "mentor of the month" who is nominated by their mentees or peers, and allows us to take pride in our colleagues' achievements. At this point we are mostly a Canadian site, but welcome members globally! The culture of medicine has changed significantly over the decades, with work-life balance being a major factor in career path decisions for both men and women. I think this session will be very interesting and generate many points for discussion. Congratulations to ASCO (and Dr. Swain) for highlighting this important issue!